A “wrap-around” mortgage (also referred to as a “wrap”) is a subsequent and subordinate mortgage secured by real property where a first mortgage remains outstanding and unsatisfied. A wrap differs from a conventional second mortgage in that it requires an agreement between the parties for payment of the first mortgage obligation by the lender. Consequently, the principal of the wrap-around loan is the sum of the outstanding indebtedness on the first mortgage and new funds advanced. The wrap technique is typically employed in transactions involving large commercial loans. However the same financing technique is used in single family real estate investments. Joe owns a commercial property with a $500,000 value and a mortgage of $150,000. He enters into a contract to sell the real property to Jane for $500,000. The contract consists of a note for the entire $500,000 payable to Joe. Jane will make payments on the $500,000 loan directly to Joe. Joe will in turn continue to make payments on the $150,000 underlying mortgage and retain the excess, if any. Frequently in the sale of real estate, the seller may elect to receive payment in installments, providing the purchaser a convenient financing option while generating desirable tax benefits to the seller. As described in more detail in How to Defer Taxes on Capital Gains, installment payments can defer taxes on capital gains if the seller receives at least one payment after the year of a disposition. Use of an installment sale permits a seller to spread the recognition of taxable income over time and avoid recognizing the entire gain before actual payment is received. Generally, if a buyer assumes a mortgage or purchases the property subject to an existing mortgage, the excess of that debt over the seller’s basis is treated as a payment received in the year of sale (triggering gain recognition). In addition, the assumed mortgage is not included in the contract price, resulting in a higher gross profit percentage, accelerating recognition of taxable income. If a wrap mortgage is used, the contract price is the entire sales price, resulting in a lower gross profit percentage (and correspondingly less gain recognized in each year’s collections). Also, since the property is not taken subject to the seller’s mortgage, there is no tax on a phantom payment in the year of sale, even if the mortgage exceeds the seller’s basis. The due on sale (or acceleration clause) is a provision in most mortgage documents that allows the lender the right to demand payment of the unpaid loan balance when the property is sold. This is a right provided by the contract, not by law. This means if title to the property is transferred, the bank has the right, but not the obligation, to demand payment. Wrap-around mortgages can offer flexibility and tax benefits to both buyer and seller. The wrap also includes credit risk if the purchaser defaults or if the underlying mortgage lender calls the loan. Are you considering using the wrap-around technique on your real estate transaction? You’ll need to consider both the tax and legal ramifications. At KRS, we’re pros at real estate taxes, so contact us to discuss your plans at 201.655.7411 or [email protected]. The federal government used to build its own public housing. However, the government banned public housing construction in 1968 and began demolishing many of its buildings in the 1990s. While the direct construction went away, the need for new units did not. The National Low Income Housing Coalition published in its 2015 report that one out of every four renter households is extremely low income (“ELI”). ELI households are those with incomes at or below 30% of area median income. Recognizing the need for additional affordable housing, Congress developed a strategy to entice private developers to build such housing. Cognizant that developers would not pursue these projects when market-rate developments would offer higher returns, Congress included an incentive in the form of a tax credit. The National Council of State Housing Agencies (NCSHA) states nearly 3 million apartments for low-income households have been built because of the Low Income Housing Tax Credit (LIHTC). It estimates that approximately 100,000 units are added to the inventory annually. The tax credits to which a developer is entitled are based on multiple factors including the investment made by the developer, the percentage of low-income units created, the type of project, and whether the project is funded by any tax-exempt private activity bonds. Following construction or rehabilitation and lease-up of a building, the developer submits a “placed-in-service” certificate showing it has complied with its application and project agreement. The certificate typically includes information on qualified costs incurred, the percentage of units reserved for low-income qualified tenants, and constructions agreements. If the certificate is approved, the developer is issued IRS Form 8609. The credits can then be claimed on the federal tax return. The credit is a dollar-for-dollar reduction in federal income tax liability. Rehabilitation of a property already owned by a developer. The low-income housing tax credit program is an option for real estate professionals seeking to develop a rental property. The tax credit will reduce Federal income taxes or can be sold for equity, reducing the debt needed to develop a project. If developing affordable housing is part of your real estate game plan, don’t go it alone! A real estate CPA can help you devise effective tax strategies around the Low Income Housing Tax Credit program. Contact The Real Estate Tax Guy at [email protected] or 201.655.7411. What Is an UPREIT ? Real Estate Investment Trusts (REIT) are comparable to mutual funds for real estate investors. REITs provide an opportunity to invest in large-scale properties and real estate portfolios in the same manner mutual funds offer diversification and professional management to investors in stocks and bonds. REIT investments are touted for diversified income streams and long-term capital appreciation. Many REITs are traded on major stock exchanges, but there are non-listed public and private REITs as well. REITs are generally segregated into two core categories: Equity REITs and Mortgage REITs. While Equity REITs generate income through rental income streams and sales of the real estate portfolios, Mortgage REITs invest in mortgages or mortgage backed securities tied to commercial and/or residential properties. Similar to sector-focused mutual funds, REITs have been created to invest in specific real estate asset classes. Some REIT offerings targeting specific asset classes include student housing, nursing homes, storage centers and hospitals. Shareholders receive their share of REIT income via dividend distributions. REIT dividend distributions are allocated among ordinary income, capital gains and return of capital, each with a different tax consequence to the recipient. Most dividends issued by REITs are taxed as ordinary dividends, which are subject to ordinary income tax rates (up to a maximum rate of 39.6%, plus a separate 3.8% surtax on net investment income). However, REIT dividends can qualify for lower rates under certain circumstances, such as in the case of capital gain distributions (20% maximum tax rate plus the 3.8 % surtax on net investment income). Additionally, the capital gains rate applies to a sale of REIT stock (20% capital gains rate plus 3.8% surtax). An Umbrella Partnership Real Estate Investment Trust (UPREIT) provides tax deferral benefits to commercial property owners who contribute their real property into a tiered ownership structure that includes an operating partnership and the REIT, which is the other partner of the operating partnership. In exchange for the real property contributed to the UPREIT, the investor receives units in the operating partnership. When the UPREIT structure is used, the owner contributes property to the partnership in exchange for limited partnership units and a “put” option. Generally, this contribution is a nontaxable transfer. The owners of limited-partnership units can exercise their put option and convert their units into REIT shares or cash at the REIT’s option. This is generally a taxable event to the unit holder. When a taxpayer sells depreciable real property in a taxable transaction the gain is subject to capital gains tax (currently a maximum of 20%) and depreciation recapture tax (25%). The capital gain tax and depreciation recapture remain deferred as long as the UPREIT holds the property and the investor holds the operating partnership units. The advantage of this structure is that it provides commercial property owners, who might have significant capital gain tax liabilities on the sale of appreciated property, an alternative exit strategy. It is common for taxpayers to negotiate some sort of standstill agreement where the REIT agrees not to sell the property in a taxable disposition for some period of time, usually five to ten years. If the REIT sell the property in a taxable disposition, it triggers taxable gain to the taxpayer. The taxable gain is generally deferred when the real estate is transferred to the UPREIT. Generally, the tax deferral lasts until the partnership sells the property in a taxable transaction. However, a taxable event is triggered if the taxpayer converts the operating partnership units to REIT shares or cash. If you have questions about UPREITs or their tax implications, we’re here to help. Contact Simon Filip at [email protected] or 201.655.7411. 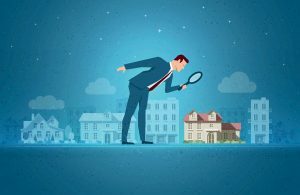 Do You Hold Real Estate in a C Corporation? Here’s why you should think twice about using a C corporation for rental real estate property. In practice I have encountered legacy entities that were set up before the rise in popularity of S Corporations or the general acceptance of Limited Liability Companies. Occasionally, there is still the investor who was advised to purchase or is contemplating purchasing, rental real estate in a C Corporation. Utilizing a C Corporation as an entity choice could prove costly. A C corporation is not a pass-through entity. Corporate taxable income is initially taxed at the entity level. If the corporation distributes its earnings to shareholders as a dividend, the recipient of the dividend must include it in his or her individual income tax return, where it is again subject to tax. Individuals invest in real estate for its current income (cash flow) and future value (appreciation). If real estate appreciates in value while owned inside a C corporation and the asset is sold by the corporation, the gain will be taxed at the corporate level at corporate income tax rates. If the C corporation then makes distributions to its shareholders as a dividend, the recipients must include the dividends, where it will be subject to a second level of tax. Property owners may hold real estate inside a C corporation because they desire liability projection. It is also possible the entity was inherited from a family member and it already held title to the real estate. The limited liability protection can be offered by the use of S Corporations and Limited Liability Companies (“LLC”), which provide the liability protection of a corporation without the double taxation. Distributing the property in kind to the shareholders. Converting the C Corporation into an S Corporation. A corporation that transfers a real estate deed to one or more shareholders has made a “deemed sale” that is taxable to both the corporation and the shareholders (assuming a non-liquidating transaction). At the corporate level, the distribution is treated as a sale to the shareholders at fair market value. Corporate gain is calculated as the excess of fair market over the corporation’s basis in the real estate. The shareholders that receive the property will be taxed on the full amount of the distribution. If the corporation has current or accumulated earnings and profits, the distribution is treated as a dividend. The sale of the real estate is a taxable event to the corporation. Unlike a “deemed sale” mentioned above, an actual sale generates cash for the corporation to pay the resulting tax. If the proceeds from the sale are not distributed to the shareholders, there will be no tax to the shareholders (along with no cash). 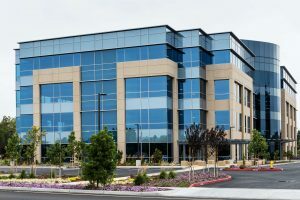 Built-in gains (“BIG”) tax – if an S Corporation that was formerly a C Corporation sells appreciated real estate, the entity may still pay C Corporation taxes on the appreciation. Excess passive investment income – S Corporations that were formerly C Corporations with passive investment income (which includes rents) in excess of 25% of their gross receipts are assessed a corporate tax at the highest corporate rate. I will discuss converting from C Corporation to an S Corporation in a later blog post. If you currently own rental real estate through a C Corporation, you should contact your tax adviser to determine what, if any, action should be taken. More than likely, you will at least need to set up a plan to minimize negative tax implications. Will President Trump Benefit or Distress Real Estate? The presidential campaigning has finally ceased and the transition to the Trump presidency has begun. Many questions are being asked in real estate circles, but mostly, how will President Trump’s policies impact real estate in this country? Throughout the presidential campaign, Trump was firm about deporting immigrants. It is quite common that immigrants who come to this country find work in the construction industry. A large immigrant deportation effort would put pressure on the number of skilled workers available in the real estate industry, especially in residential real estate. A labor shortage in the construction industry will force builders to compete for skilled workers with higher wages. Those costs would most likely be passed on to buyers in the form of higher new home prices. Trump’s tax plan effectively limits the mortgage interest deduction, without eliminating it entirely. This is accomplished by increasing the standard deduction from $6,300 to $15,000. Under the current system, for example, a homeowner paying mortgage interest of $10,000 would itemize the deduction and receive a greater tax benefit, because their interest deduction would be greater than the standard $6,300 exemption. Under Trump’s potential changes, however, there would be no need to itemize the $10,000 mortgage interest, as the proposed standard deduction is already greater. Americans therefore may be less incentivized to buy homes as their taxes would not be significantly different than if they had rented. If housing prices soar due to a lack of skilled labor force and the value of a mortgage interest deduction is diminished, residential real estate brokers and agents may find transactions and commissions drying up. A decrease in real estate activity will affect the bottom line for brokers and agents alike. I would be doing a disservice to the real estate ‘mogul’ without mentioning the potential impact on commercial real estate. There is a potential for a pullback on new construction for commercial projects, large residential and mixed-use developments. If the capital markets experience a shock – which could be interest rates, inflation, or regulation – the difficulty of obtaining construction financing coupled with a muddy economic outlook may push some developers to abandon plans for new projects. 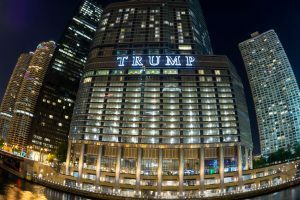 What are your thoughts on the Trump presidency and how it will impact the real estate industry? Ever hear of real estate crowdfunding? If not, maybe you should take a look. In my practice as an accountant and trusted advisor I often receive inquiries from clients and their advisors because real estate is an important element of a diversified portfolio. Until recently, opportunities to invest in real estate were limited to acquiring a rental property directly, participating in a real estate investment group, flipping properties or a joining a real estate investment trust (REIT). Investing through a real estate investment group was limited to accredited investors – those who have a net worth of $1 million or earn at least $200,000 a year. The Securities and Exchange Commission’s Title III of the JOBS Act opened the doors to non-accredited investors, who were previously unable to participate in this new asset class. As a result of the JOBS Act, crowdfunding platforms have become available which offer options for investing in real estate. In these platforms investors can join others to invest in a rental property – either commercial or residential. Private real estate deals have historically been the domain of high net-worth investors who possessed the right connections to gain access to a particular property. Real estate crowdfunding provides an entry point into the real estate market, enabling investors of all ages, risk profiles and wealth levels to acquire real estate investment. Larger geographical scope. Investing in real estate in the past relied upon developing networks of personal and industry connections in your local area. The real estate crowdfunding platforms are opening up access to deals outside of personal contacts and local areas. A potential investor can now browse deals from all over the country. Lower entry point. Historically, investing in real estate required writing a large check to become part of a deal. Typically, a real estate operator would want to syndicate deals with minimum investments of $100,000 or more to keep the process simple. 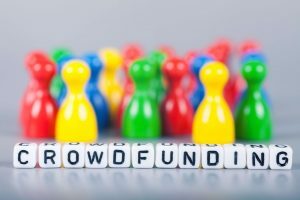 However, through the technology in these crowdfunding platforms and the JOBS Act, investors are able to invest with a minimum of $1,000, depending on the platform. This allows real estate investors to spread their funds over multiple projects at any one time. From a risk perspective, this is less risk than investing larger amounts in fewer projects. You don’t really own real estate. Investing in crowdfunded real estate does not actually make you an owner of real estate. Rather, you become a member of a Limited Liability Company that holds title to real property. Ownership in the LLC is considered personal property rather than real property and the rights to share in income and distributions are governed by the Operating Agreement. Less liquidity. Investing in crowdfunded real estate is different that investing in real estate stock. When you invest in a REIT, you invest in a company that owns and operations various real estate investments. REITs offer liquidity, whereas they can be sold on the stock market, while crowdfunded real estate you are locked in until an exit event such as the sale of the property. If you are considering investing in real estate every investor should consider how to participate. Along with that decision the tax consequences of the different options should be considered in the analysis. Wave goodbye to corner offices and cubicle farms and welcome to wide open spaces. Millennials are a generation accustomed to collaboration and opportunities for social interaction. As a result, they are changing how companies lease and design office space. Millennials are typically considered individuals born between 1980 and 1995, making most of this generation under 35 years of age. According to a report published by the White House, 15 Economic Facts about Millennials (October 2014), this demographic makes up approximately one-third of the U.S. population. This generation has many unique characteristics that shape how they work and what they want out of life. They are the first cohort who can’t remember life before the Internet, and this is reflected in their attachment to technology. However, they value connection in the real world as well. Millennials favor open floor plans and collaborative work spaces. They value flexibility and common areas that are set up for specific tasks rather than specific people. This changes the amount and type of space required by the companies for whom they work. 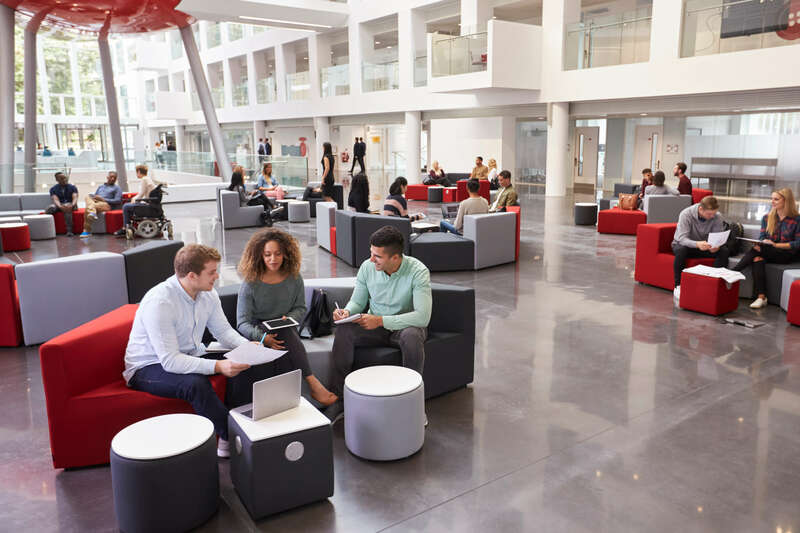 In many cases, the ideal Millennial workplace includes fewer square feet per employee, as more shared spaces are adopted. According to Randy Horning, senior broker associate with James E. Hanson Inc., average square footage required for commercial office space is on the decline to approximately 100 to 150 square feet per person. This continues a downward trend from 200 to 250 square feet, which was already down from the 400 sq. ft. per person in prior years. Green design is another Millennial priority that is influencing commercial spaces. Natural light, sustainable materials and energy efficiency have grown in popularity, which is reflected by the push towards LEED Certification for new and existing work spaces. According to a report published by the U.S. Green Building Council, over 675 million sq. ft. of U.S. real estate space became LEED certified in 2014, the largest area to be certified in a calendar year In 2015 an estimated 2,870 projects were certified, representing an additional 464 million sq. ft. of real estate. Real estate features that include recycling collection, bike storage and even rainwater catchers will score points with Millennials, and can even translate into better health and productivity. Where companies choose to locate has also been heavily influenced by this generation. They prefer working near city centers – where commutes are short or non-existent – as well as convenient transit options. Millennials also favor easily accessible attractions, such as museums and dining. The future of office space may appear to be the end of cubicle farms, however there will be more work space flexibility and opportunities for Millennials and other groups to interact in the workplace than before. Companies will continue to adapt office environments as they seek to accommodate this generation.